Fences, now in its final week of a four-week run, has received standing ovations every performance. 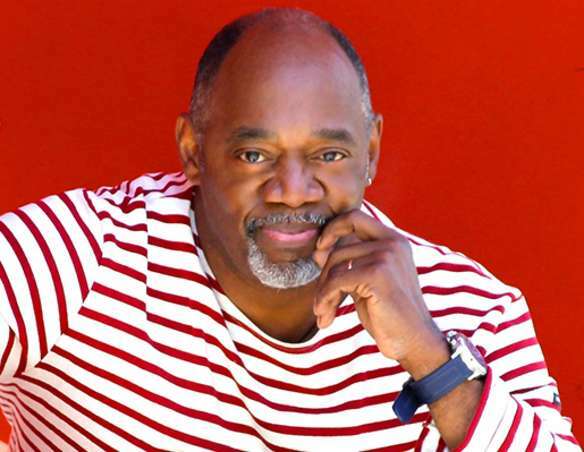 Our critically acclaimed production is curated under the direction of Gregg T. Daniel. We asked him some questions about his work on this powerful show, and he was kind enough to respond. Enjoy! Directing Fences at ICT has been a dream. From the very beginning, Artistic Director caryn desai expressed the confidence and support we needed to realize this Pulitzer Prize winning play. I was very moved by the trust caryn placed in me. The design team, the crew and ICT’s staff all worked together seamlessly. The fact that I had experienced the power of the play from the” inside out” definitely helped my knowledge of the play. Having performed in a production gave me a familiarity with the material which served me well. Of course, working this specific group of actors and what they were able to bring to the production brought a freshness and a first-time quality to my direction of Fences. 3. Is there added pressure when directing a modern classic such as this? There’s always a sense of trepidation when a director (or a cast) takes on a “modern classic.” The question arises, “will we be able to do justice to this marvelous play?” However, once you get in a room with a group of talented and committed actors you slowly begin to find your “truth” through the play. Additionally, I knew this was the first time an August Wilson play had been mounted at ICT, so I was proud and inspired to introduce ICT’s audience to this towering playwright. 4. As one of the most prolific playwrights of the modern era, what do you think makes August Wilson’s work so significant and transcendent? The universality of Wilson’s work never ceases to amaze. While ostensibly Wilson wrote characters from the African American culture, audience members of all ethnicities and races repeatedly relay to me how Troy Maxson reminds them of their Father. 5. What do you hope audiences take from seeing Fences? I hope audiences will understand and appreciate the complexity of a man like Troy Maxson. Ultimately, we see in Troy a deeply flawed individual who tried to love and support his family the only way he knew how. Just as the character Cory learns to forgive his father at the climax of the play, perhaps we can all learn a lesson about acceptance and forgiveness as well. 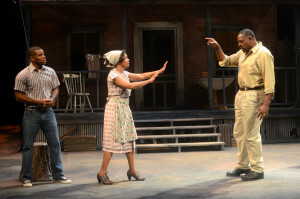 For more information or to purchase tickets to Fences: please visit www.ictlongbeach.org or call 562.436.4610. This entry was posted on Friday, September 11th, 2015 at 3:21 pm	and is filed under Uncategorized. You can follow any responses to this entry through the RSS 2.0 feed. You can leave a response, or trackback from your own site.